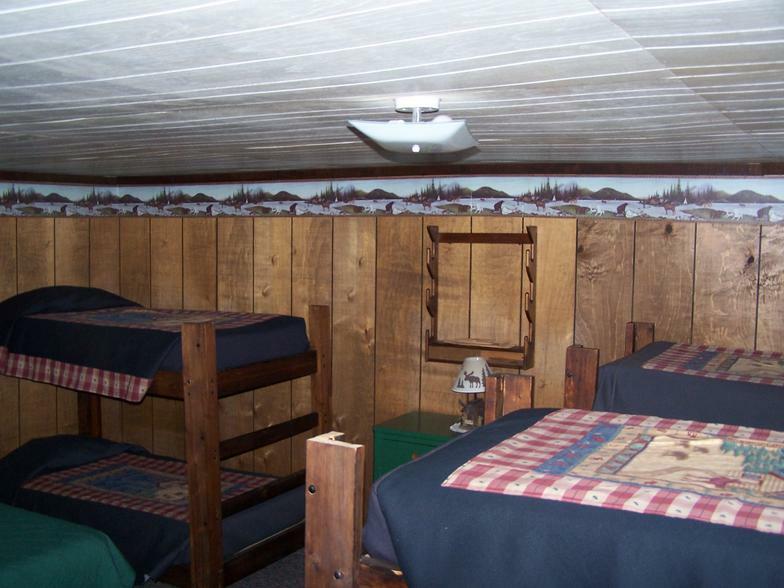 The bunkhouse is geared for large groups of up to 14 people. Walk into a living room with couches and chairs for gathering and relaxing, a full sized fridge, microwave, TV/DVD, and stereo. 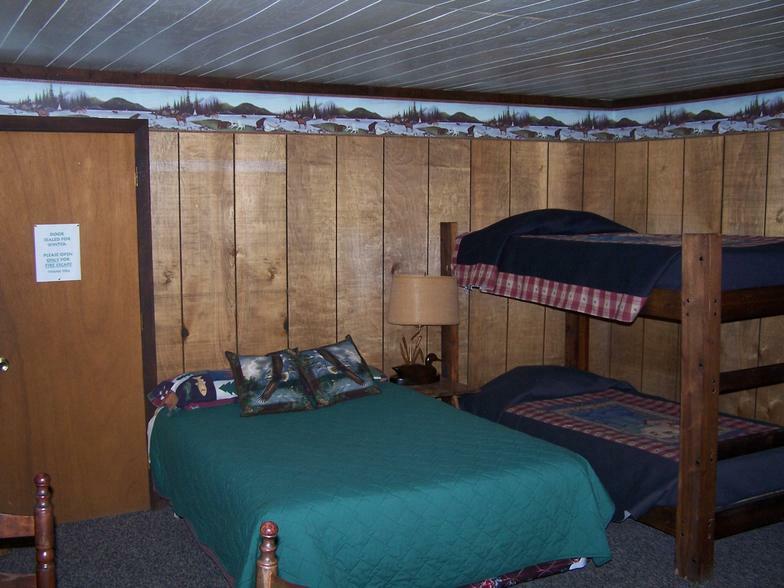 One bedroom has a queen bed and 3 bunkbeds, and the other bedroom has 2 bunkbeds. 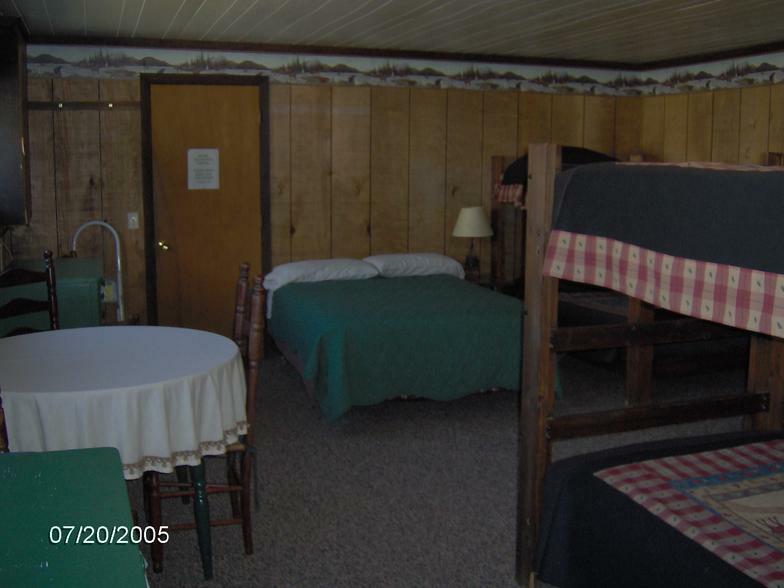 Each bedroom has a private bathroom with shower.